We have been building our own "nanny cameras" here in USA for over 15 years. Our experienced crews guarantee quality, customer support, fast delivery and most of all, the best price. Just plug it in. It does not get any more simple than this. No buttons to press, no setting up necessary. 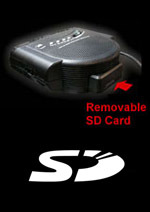 All you have to do is take out the SD card at the end of the day and playback on your PC. That is it !! Most popular and has become very easy set-up by our P2P technology. Please notice that not all WiFi cameras available in the market are P2P and they are almost imposible to set-up with out a knowledge in networking. Wi-Fi cameras transmit video directly to your wireless router. The video is recorded or viewed by PC & smart phones. No interference & secure. These wireless cameras will transmit video signal to a nearby receiver (included), then the receiver connects to any kind of recorder (VCR or DVR). Since it's analog, there is no lag in video transmition and you can use many different types of camera modules. However, they are a lot more costly than a WiFi cameras and becoming obsolte. Wireless camera with digital signal, however becoming obsolete by WiFi cameras. No interference and totally secure. Receiver connects to any kind of recorder (VCR or DVR). Before you purchase a nanny camera, you have to ask yourself how the camera will be used everyday most effectively and with minimum effort & time. Here are some recommendations. You do not need to cover every corners of your house with nanny cameras. We recommend placing one or two cameras where your nanny may spend most time with your child. Just few minutes recording of interaction between your child and the nanny will give you a good idea about your nanny. You will know right away if she is friendly with kids and has good work ethics. Internet viewing is a neat feature and Wi-Fi IP cameras are one of our best seller. Wi-Fi IP camera transmits secure, interference free, video signal directly to your wireless router for remote viewing and recording. Included software allows you to view up to 32 cameras via internet without requiring any 3rd party service. Heavy firewall in your company may prohibit the connection but will work in most cases for residential network. All our Wi-Fi IP cameras also come with recording software where you can view the recordings later. People get anxious about the nanny discovering the camera. So some may consider hiding the camera inside of a sheetrock wall which is very difficult. You will need to be a good carpenter and an electrician. We have been selling nanny cams hidden in an object for over 15 years and there was not a single incident where the nanny found the camera. It's not illegal to have hidden cameras in your own house and nannies do not typically memorize the objects in your home. We do carry hide-it-yourself cameras such as wi-fi black box, all-in-one black box & pinhole wireless camera. Best system that does it all. Once again, it will be our Wi-Fi IP cameras. They are economical and easy to set-up. None P2P web cameras are very difficult to set up but our P2P technology allows easy set-up for anyone. - High resolution 1.3 MP, 720P model, fast wireless-N speed WiFi connection. - True P2P automatic set-up technology, anyone can set-up in minutes! - i-Phone, android smart phones and tablet friendly. - Signal secured by User ID and password / WPA Encryption.